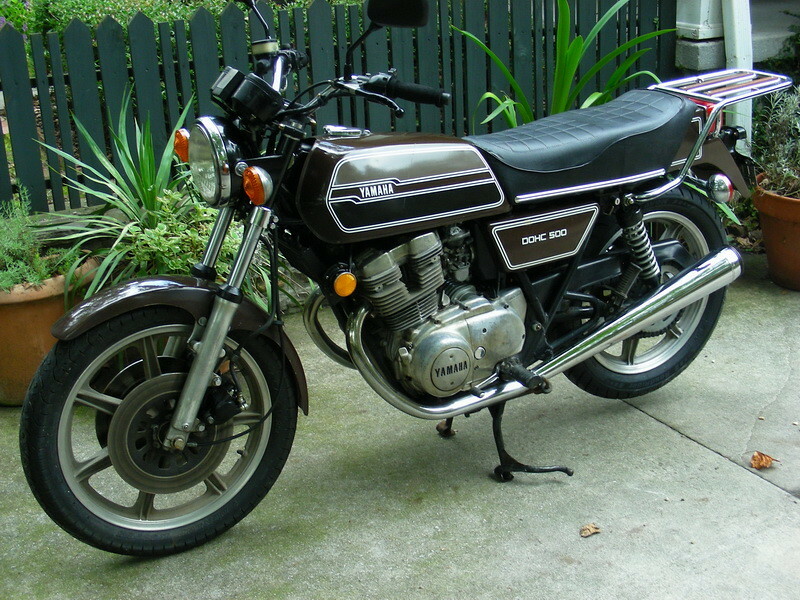 Apologies to all: We had a many month view of Pauli's Bike of the Month (We like your bike Pauli, but not THAT much!) because yours truly was AWOL due to off line stuff that absorbed all of my waking hours for several months. Hope to be more regular in the future. 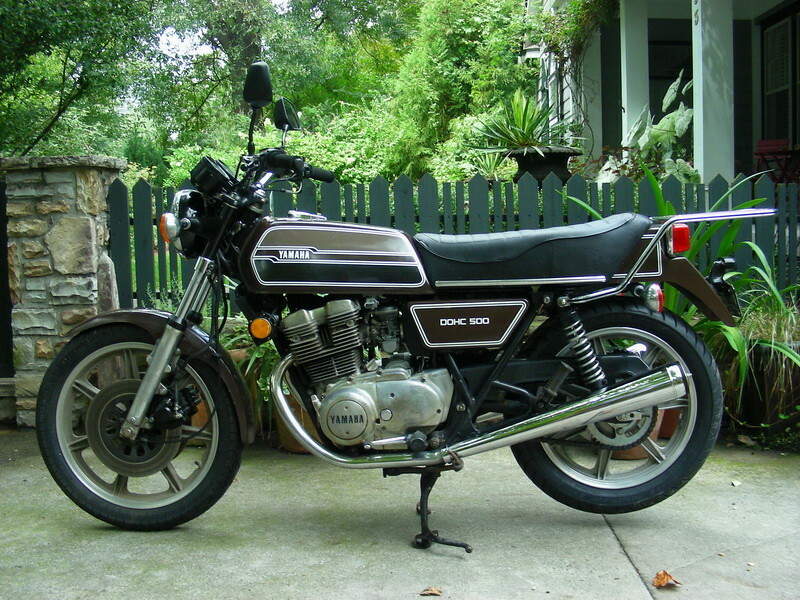 "This August an old friend gave me a 1976 XS500C. 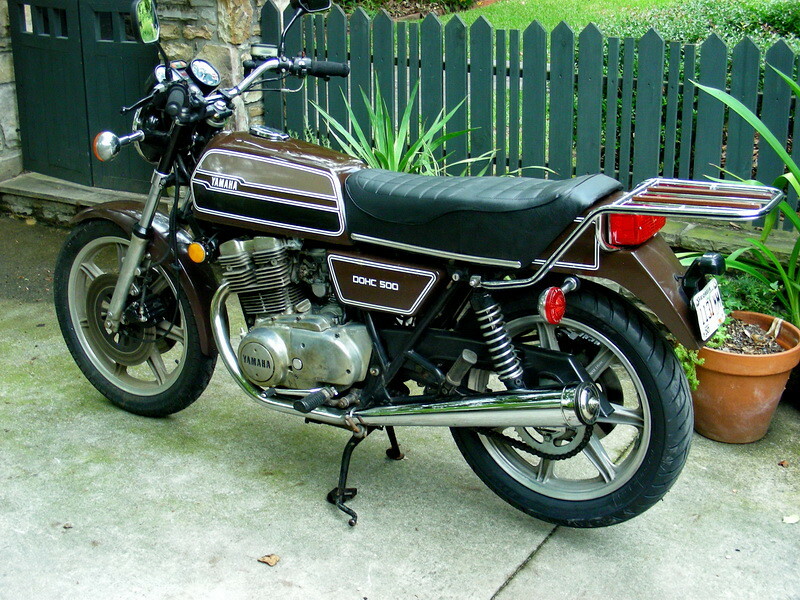 He bought the bike new in 1977 and rode it 24,978 miles before turning it over to me. I had worked on the bike for him last in the early 90’s when I did some tune up work, added the front twin disc brake set up and swapped the stock handlebars for a low and narrow XJ650R Seca bar. He kept it on the road until around the year 2000 and then put it to bed for a long rest. So when she arrived at my driveway she was a bit tired looking when we rolled her off the trailer. The front calipers were stuck so he had to unbolt them to get the bike to roll and the original mufflers had long since rotted away to be replaced with some really loud aftermarket pieces. 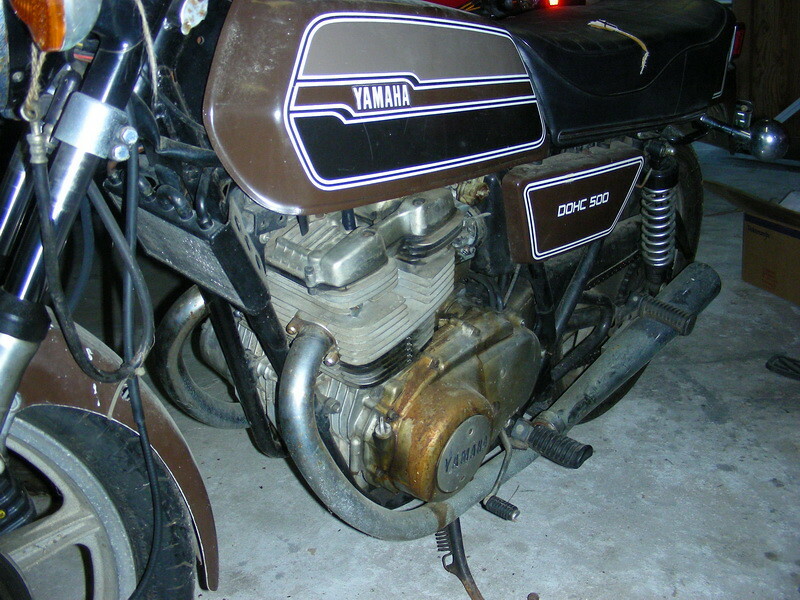 On the plus side, the bike was complete and also had the Yamaha accessory oil cooler. In short, she looked rough but was mostly intact. I’m not usually one for giving my vehicles a name but could I do anything else but call her “Marge Browne” because of her chocolatey paint color? More on that later. I started right in on giving the bike an initial cleanup to see what was underneath. 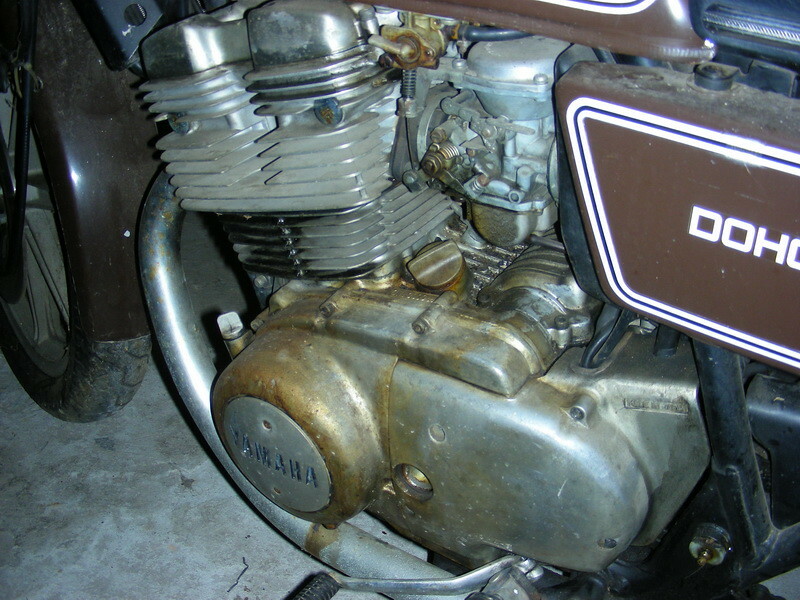 The cylinder had a significant accumulation of oil mung from head and valve cover gasket leaks and the engine side covers were stained brown from petcock fuel leaks. Except for some peeling paint on the front fender the overall finish wasn’t too bad. I spent a couple of hours cleaning up the side covers and cylinder head. I didn’t even try to start the bike without cleaning the carbs so off they came and surprise, they weren’t that bad. My friend must have drained them (Bless him) and they cleaned up easily. 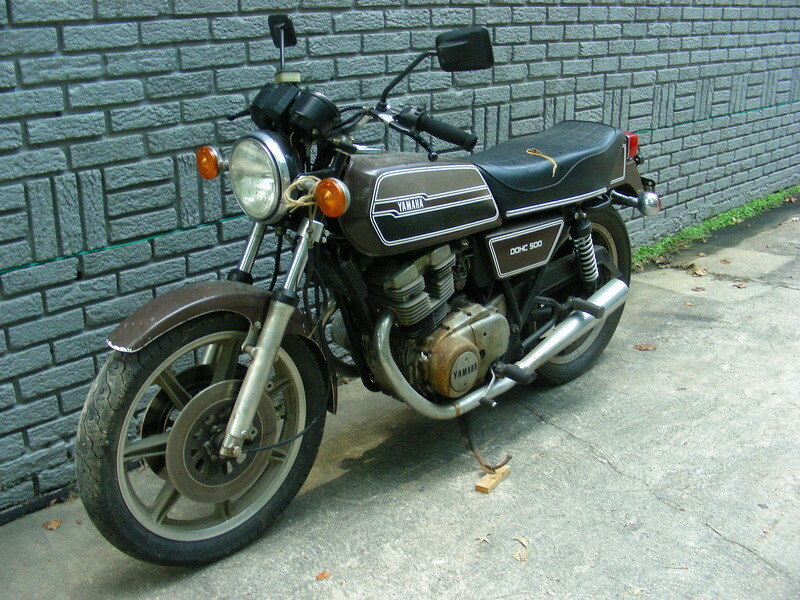 The air filter was long since gone but the bike cranked up on an undersized battery after several kicks and settled in to a decent idle. I changed the oil for some old, old Yamalube 4, 20W-40 that had sat on my shelf for a almost a decade with the idea that I would run it for 50 miles or so and see how it looked then change it again with a new oil filter, Brad’s filter adapter and a modern semi-synthetic oil. I changed the old tires for a set of Avon Roadrider tires and that made an amazing difference in feel and handling. With all the initial work done I was able to reach my first major goal with the bike and that was to make it reliable enough to ride it to the Barber Vintage Festival and back. Done and it was a great time too. The bike ran perfectly! Since then I’ve continued to source some more parts for the future modifications including a set of later cast wheels that will allow me to run tubeless tires and a 520 o-ring chain. I’ve also bought another cylinder that I had bored for a pair of new 1st oversize 2F0 high compression pistons. Those I’ll install when I tear down the engine this winter. 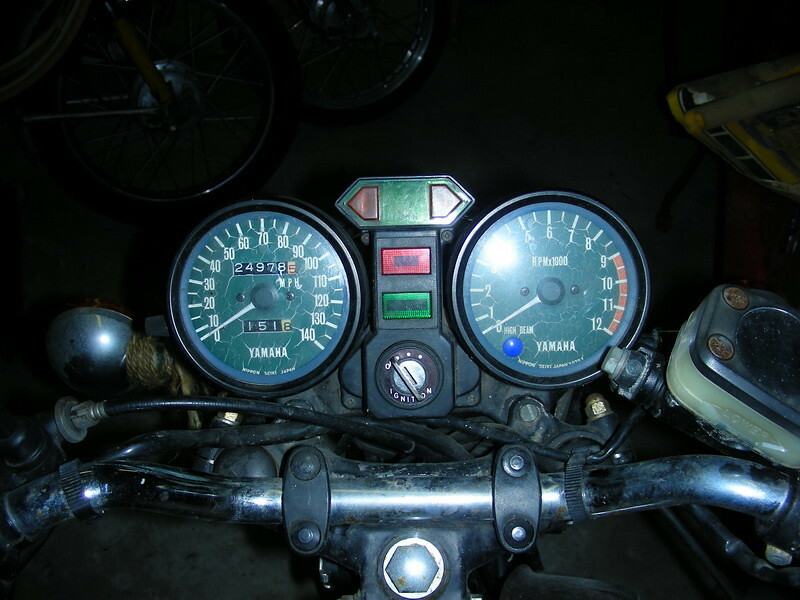 At that time it will also get a 6 speed RD350 transmission which has the perfect set of ratios for highway cruising. The bike cleaned up so nicely that my original intention to change the paint right away didn’t seem so urgent. My wife is still lobbying me to keep it as is and my son convinced me that the color is almost identical to Porsche “Bitter Chocolate” so I’m OK with Brown for the moment. I think she even looks good but still would like to see it in black or maybe a dark blue. With a lot of eBay work I now have a complete extra set of body parts that I’ll have repainted for the Marge’s transformation. Stay tuned. For some more detail see my other two threads on the bike. I’ll continue to update the Seep South XS500C thread with Marge’s progress." I love what you are doing to this bike.Great mods and details.